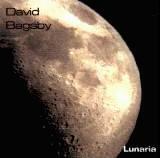 Lunaria can be listened to as Gothic mood music, spectral atmospheres, or dark tone poems. Originally conceived in 1984 as a "Moon-based" album, it is a series of newly-created, unedited electronic improvisations, though it feels remarkably unified to me. One selection reminds me a bit of the Dissevelt/Baltan collaborations. This is just the kind of music I like to hear when working on this web site. Xen Live is David Bagsby and Kurt Rongey at the Ikon Club in Tulsa, Oklahoma (opening for the Legendary Pink Dots). Bonus tracks were recorded live in the studio during rehearsals for the very first Xen show at Tulsa's Mayfest. Read about Xen's two studio albums below. What is Xen? Diverse answers at Googlism. Martian Love Call is an offering in the genre of Cartoon Jazz by the "Snap-On Voles" (alias David and Steve Bagsby). In addition to such zippy tracks as "Otto Zilch" and "Powerhouse", this CD includes a couple of selections from The Tulsa Project ("Sonik Re-Entry" and "Why Can't This Night Go On Forever?") and Steve's bouncy steel guitar tune, "Tahahina Hula". A worthy sampling of the twisted Bagsby multi-verse. Listen at David's site. Here is a review at The Pitch. 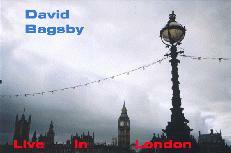 Live in London captures David Bagsby on his Dec. 2002 U.K. tour, armed only with an acoustic guitar. The music (all originals but one) is comparable to that of Michael Hedges or Alex DeGrassi: soothing, but not soporific. David's compositional smarts balance the meditative mood in a very pleasing way. "Cleopatra's Needle" successfully miniaturizes for the guitar his disciplined orchestral thinking. "Moments" is evocative of a pleasant and fruitful dream session. "Mad Friday" integrates slide and finger picking in a manner suggestive of a relaxed Steve Howe. Beautifully recorded in digital with no effects. It's a real treat. Samples at David's site. Ephemeron is a collection of humanly impossible polyrhythmic hierachies. A minimum of 3 concurrent time signatures are occurring at any given time. A bonus track, Hydrophony, employs the Aviary approach applied to the sound of a creek. Listen at David's site. Translator. Like The Aviary (see below), it is based on digitized field recordings. 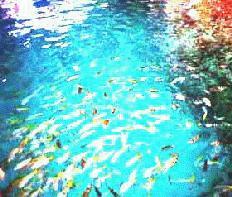 Most of Nature's music is too subtle for normal perception. David's technique translates this raw material into otherworldly music by supplying Nature with new voices, revealing hidden order and beauty in the process. Samples at David's site. (Alternate cover) Transphoria reveals a kaleidoscopic imagination at play in a parti-colored world of rhythm, texture and space. 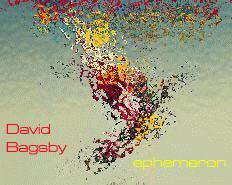 David Bagsby composed, performed and produced this tour de force with a dizzying breadth of musical reference. Special guests Jenny Labow and Candy Gaffen lend their respective vocal and pianistic talents on a track each. Sound samples at David's site. 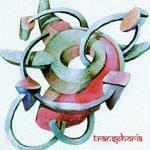 Transphoria has been released by Mellow Records (contractually, Transphoria will not be available at Starship). 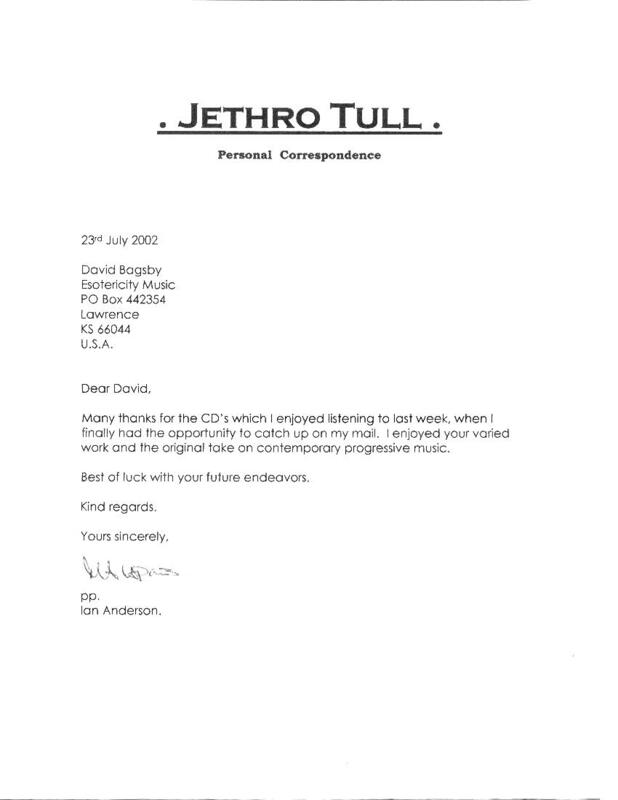 Ian Anderson of Jethro Tull said of Transphoria and Jethro Tulsa: "I enjoyed your varied work and the original take on contemporary progressive music. Keep up the great work." Kerry Livgren of the band Kansas about Transphoria: "Nice to know that someone is still making interesting music." Xen is a musical duo consisting of David Bagsby and Kurt Rongey. "...extremely inventive, quirky, hyperbolic music...everything falls through the cracks in the XEN universe..." - I/E. "Progressive rock...highly recommended!" - Tulsa TV Memories. The second Xen CD, "Master of Night", employs such mathematical schemata as the tone row, the Fibonacci sequence, and stochastic theory to create new structures and ideas, yet the music remains accessible to the intuition. 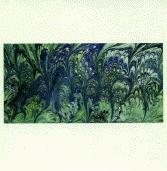 Hear samples from both Xen CDs at David's site! The Aviary is a collection of field recordings digitized and orchestrated by David Bagsby. Actual birdsongs control the melody, rhythm and dynamics while the sounds are of conventional instruments (like scanning a photo and changing the colors). Samples on David's site! Happy Hour for a Pack of Screaming Monkeys is a tribute to Raymond Scott, produced by David Bagsby. Scott wrote songs that have become part of the collective unconscious via Looney Tunes, and now, Ren and Stimpy cartoons, among others. Styles on the CD range from Western Swing to Speed Metal. Song samples are available at David's site. 4/25/2006: "Talahina Hula" starring David's brother, Steve Bagsby on steel guitar and vocals. This is jaunty, Western Swing-informed music, full of panache and humor. "Talahina Hula"--a nifty piece of steel git work that makes me smile every time I play the (legally downloaded) mp3. Can't wait for the "abum" to be released. 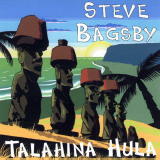 Steve Bagsby, who is that guy singing on your new Talahina Hula CD? He's got an authentic Western Swing voice. In reply to the Webmaster, I handled the vocals on the "Talahina Hula" CD and my brother David handled the harmonies. As far as the vocal style went, Tommy Duncan, Leon Huff, and alike were big influences. Same thing went for Leon McAuliffe's steel playing and Eldon Shamblin's guitar work. Those styles rubbed off on me at an early age, and I've been heavily corrupted since. On our way to the drive-in, we tuned in John Wooley's "Swing on This" program on KWGS. First tune out of the radio was a pleasant surprise: "Legion Hall Strut" from "Talahina Hula". Seriously, and no kiddin', friends, this is a great recording and you should buy it even if you have to get the money by not buying those baby chicks by mailing 98 cents in coin to XERF, Del Rio, that's D-E-L-R-I-O, Texas.